After a perfect ending to an imperfect season in Super Bowl LIII, the focus on the Patriots turns to the future of tight end Rob Gronkowski. The Chiefs can't afford to squander Patrick Mahomes' talent by having a bad defense. Their new defensive coordinator could be the solution. The Patriots see a QB in the Chiefs' Patrick Mahomes who can throw on the run, scramble to extend a play and do things others just can't. Travis Kelce is four catches away from Tony Gonzalez's team record and 54 yards away from Rob Gronkowski's league record for a tight end in a season. This is the team Andy Reid has always wanted to coach, one that is so dynamic offensively it can overcome any obstacle. 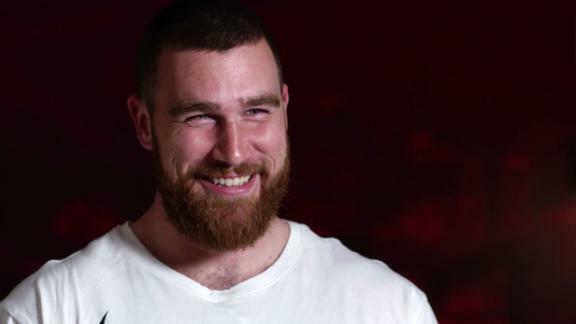 Will Kelce's dominance continue on Thursday? The Broncos couldn't cover 49ers tight end George Kittle in the first half, and Kittle's 210 yards gave the Niners an unlikely upset victory. Recent history shows that in a battle of No. 1 offenses vs. No. 1 defenses, it's the offense that prevails. The key for the Ravens' D? Different looks. With 15 TD catches in nine games, Indianapolis' versatile unit has become a force and is on pace to break New England's single-season record of 24. With friends and family in the stands, the two Cleveland-area natives accounted for all five of the Chiefs' scores.